-- This romantic suspense spy story takes place in 1997 when Beth Parsons is called to CIA headquarters and asked to identify someone from when she worked for a U.S. Army intelligence unit in Munich, Germany. When what Beth is told doesn't add up, she fears she may become a fall guy for the CIA. She escapes her CIA "babysitter" and sets off to discover why she is suddenly back in the world of espionage. Her quest takes her to Europe and then back to the U.S., and pairs her with the man who may have been responsible for her husband's death. 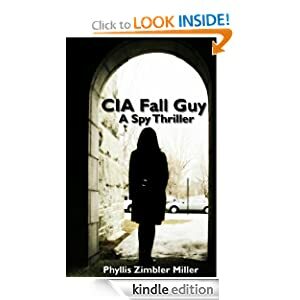 If you like spy stories and tales of intrigue -- especially ones with a dash of romantic suspense, CIA FALL GUY is for you!